Searching for the best free stock photo sites to help you add some great-looking imagery to your website or social media posts? Stock photos don’t have to be boring or cheesy, though. And with the best free stock photo sites, you can find great-looking photos that won’t break the bank. Just because resources are posted publically online, that doesn’t mean you can automatically use them without permission. There are various copyright laws that dictate whether stock images can be used for commercial purposes or if they’re restricted to personal use only. When it comes to free stock photography, there are only two licenses you should really concern yourself with: public domain and creative commons. Also known as Creative Commons Zero, public domain works do not have restrictions and are free for all to use, including commercially. Creative Commons is a US-based non-profit that helps creatives share their work within a clear system. CC0: Creator has waived copyright restrictions. CC BY: You can adapt the image but must credit the author. 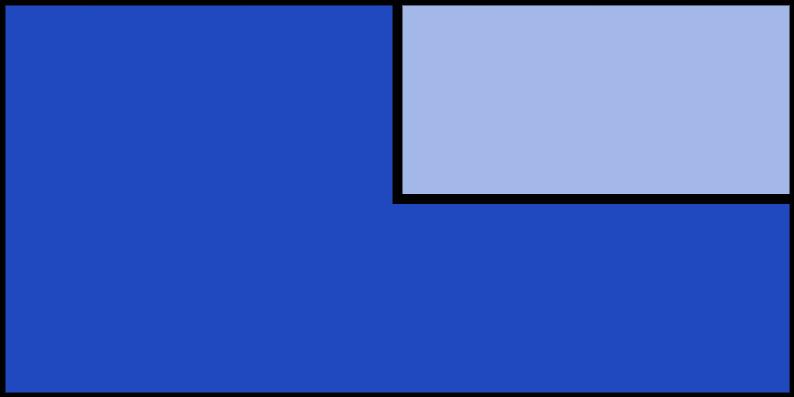 CC BY-SA: Same as the CC BY license, but must license derivative works under the same terms. CC BY-ND: You can only use the image as is, and must credit the owner. If you change the image, you cannot distribute it. If you want to commercially use and modify images without needing to credit the author, you want the CC0 license. Most of these sites offer CC0 images, but you should always double check. Stocksnap.io prides itself on not stocking the typical cheese. They offer a relatively small collection compared to some of the other best free stock photo sites with the justification of maintaining high standards for choosing photos and photographers. Canva is a popular drag-and-drop online editing and design tool that empowers anyone to create basic graphic designs. Canva gives users access to over a million photos, graphics, and fonts. Photos are arranged by category but both paid and unpaid options are clearly displayed. Search for specific needs within their free photo library. Did you know that the parent company behind ThemeIsle also curates beautiful stock photo assets? Easily navigate one of the best free stock photo sites, with over 600 assets, on MyStockPhotos. Flickr is a popular photo and video hosting platform that allows users to manage and share their media online. It has a vibrant and engaged community where people browse and use each other’s photos. Since Flickr functions primarily as a sharing website, not all photos may be beautifully or professionally-taken. However, you can be assured that all photos are unique. You can browse available photos by specific Creative Commons licenses. Tip: click here to go straight to all the CC0 images on Flickr. There’s some question as to the future of Flickr, as it’s recently been acquired by SmugMug. Startup Stock Photos was started by a couple of friends who were already taking stock photos for startups. They decided to offer those photos for free to help other startups, and delight in the fact that they have been successful in their mission to create one of the best free stock photo sites. Negative Space is a photography term that refers to the area between and around objects in a photo, which allows the viewer to focus on the main subject on the photo. This is what Negative Space envisions themselves to be — a platform to let photographers shine. But more than that, Negative Space wants to build a community for photographers. New photos are introduced every week with an easy-to-use gallery that’s sortable by color and category. Designer and photographer Viktor Hanacek created Picjumbo in 2013 after his photo submissions were rejected by other stock photo sites for “lack of quality”. Two years later, his photos reached 2 million downloads, and currently, his library of over 2000 photos has over 6 million downloads to date. Picjumbo makes its money through ad funding, and also offers a premium subscription. The premium subscription allows you to download photos in a set (ex/Halloween set, pancakes set, etc.) with an additional 30 exclusive photos per month included. Since some photos have certain copyright restrictions, be sure to check licensing terms before use. Death to the Stock Photo was born out of founders Allie and David’s frustration over finding high-quality stock photos that measured up to their standards, and they thought that other creatives might feel that way, too. If you want to use the assets on Death to the Stock Photo, you’ll have to sign up for their email list. Only then will they send you a curated batch of free photos each month. If you want unbridled access to their entire content library, you can subscribe to their premium membership, which starts at $12/month. Death to the Stock Photo has certain privacy and distribution restrictions, so read up before using specific stock photos. Freerange was created to provide free stock photos for both commercial and non-commercial use. Freerange has a team of in-house photographers, but also accepts submissions from a growing pool of contributors. Photographer Jay Mantri shares his collection of professional and high-quality images to everyone, with new ones coming out every Thursday. Most of his photos feature nature and the outdoors. Though his photos are high-resolution, his photographs have a grainy style/quality to them. Kaboompics was founded by Polish web designer Karolina, who counts over 70,000 monthly visitors to her stock photo website. Karolina shoots everything herself, and her website is home to 9,000+ lifestyle images which have been downloaded over 10 million times. Photos can be used for both commercial and personal use, though Karolina appreciates attribution and photo credit. Though one of the best free stock photo sites may not look like much, Fancy Crave’s photos are remarkable. They are taken by Igor Ovsyannykov, who started the website three years ago when he started giving away photos from his travels around Asia. Currently, Fancy Crave has a library of over 1,000 photos, with new options released each week. Founded in 1996 by Michael Connors, Morguefile is one of the oldest and best free stock photo sites online today. It was created to serve as a free image exchange for teachers and creative professionals to use in their work. To this day, Morguefile still fulfills that purpose, sharing images that can be downloaded and reused for both commercial and non-commercial purposes. The community-based website accepts submissions from both amateur hobbyists and professionals. Life of Pix is home to some amazing photographs arranged on a beautifully designed responsive website. Brought to you by the Leeroy Advertising Agency in Montreal, the website curates the feed and screens photographers. Life of Pix also has a counterpart for videos: Life of Vids. ISO Republic is an independent website run by a small group of contributors who wanted to provide high-quality images to creatives, bloggers, and social media teams. You can sign up for their email list to receive the latest images straight to your inbox. Gratisography is a brainchild of artist Ryan McGuire, who offers CC0 licensed images every week. What makes Gratisography different from other stock photo websites is that the images are made for a quirkier market. Check out the “Whimsical” category for some interesting finds. LibreShot is a great resource for all the marketing and sales images you need. Managed by Martin Vorel (who shoots all the photos himself), LibreShot hosts over 1,000 images. If you need images that focus on Mongolia and Buddhism, this is the place to search for them. Moose is a stock photo website run by Icons8, and many of its avid users applaud its minimalist style. You can customize photos according to a specific model and background. Just be careful with regards to use: the photos have a CC BY-ND license, which requires a backlink. Shopify is a managed eCommerce platform that wants each user to have all the resources they need to make their online shop a success. One of those resources is Burst, their free stock photo platform. On Burst, thousands of images that were contributed by photographers around the world are made available for use, even without attribution. Skitterphoto was started by a group of Dutch photographers who later opened the site up for contributions. Considered as one of the best free stock photo sites, Skitterphoto has over 1,000 photos in their library. Splitshire, by Italian photographer Daniel Nanescu, has a small but growing collection of photographs (and videos) that have been downloaded over 2 million times to date. He started out by uploading his own photos and later opened his website to contributors. Check out the still life and blurred background photos to get an idea of Splitshire’s specialty. 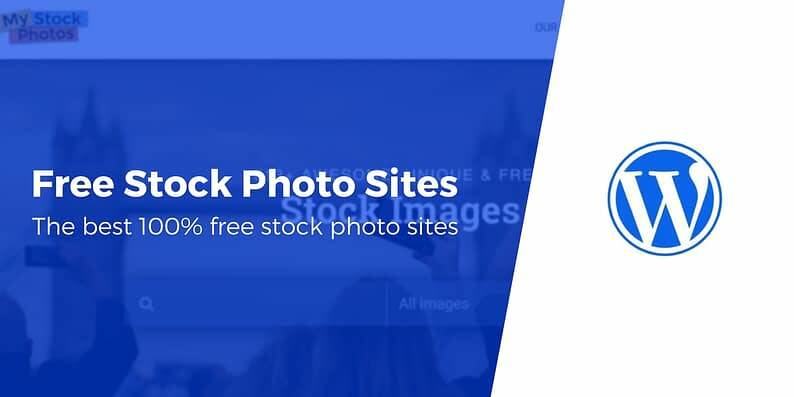 Start using the best free stock photo sites today! Stock photos don’t have to be cheesy or boring in their repetition. Bookmark this list for when you just can’t seem to find the perfect image for the job. Did you have a favorite stock photo website that didn’t make our list?